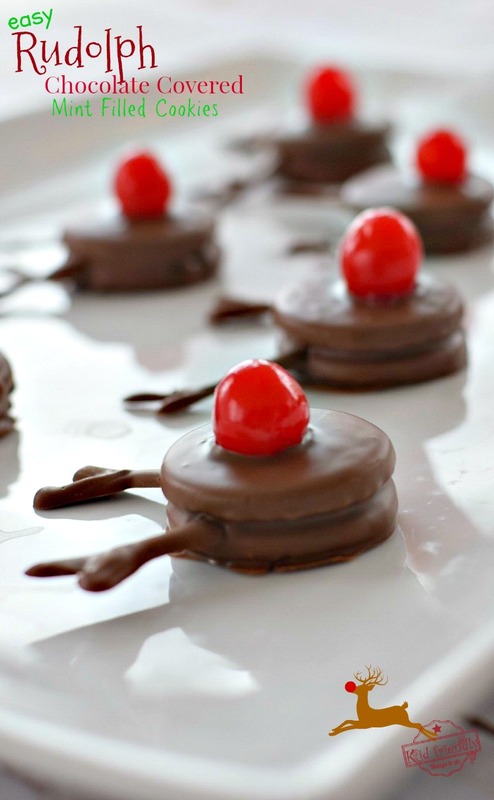 These are so simple to make, but your family and friends will think you spent hours in the kitchen. You know that’s not how we do things on this blog. 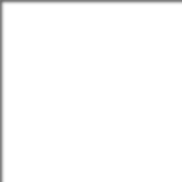 We keep it Short and Simple – Fun and Done! 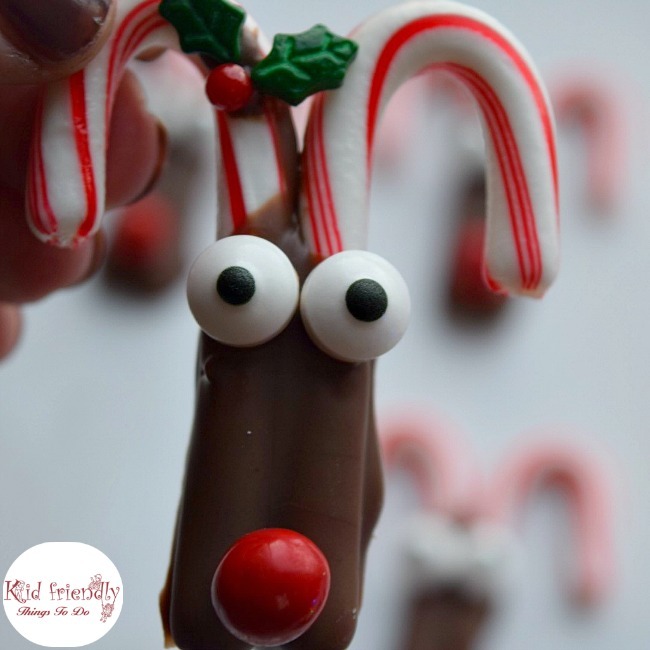 It’s the perfect food craft to let your kids get involved in. 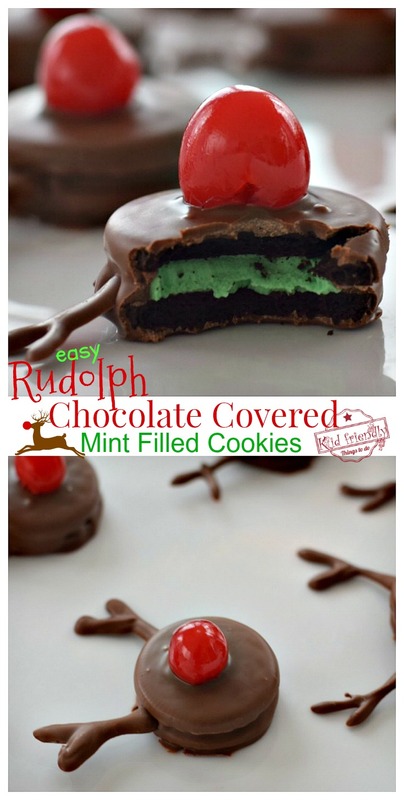 You could make these as a surprise treat or include them in the preparation. Whatever works for you. 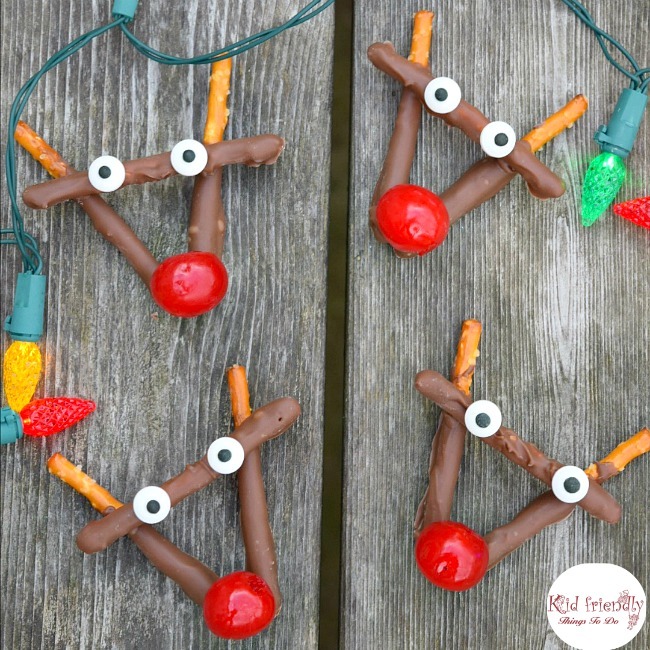 Either way, everyone will be excited to bite into these fun Rudolph Cookies. They are so yummy! 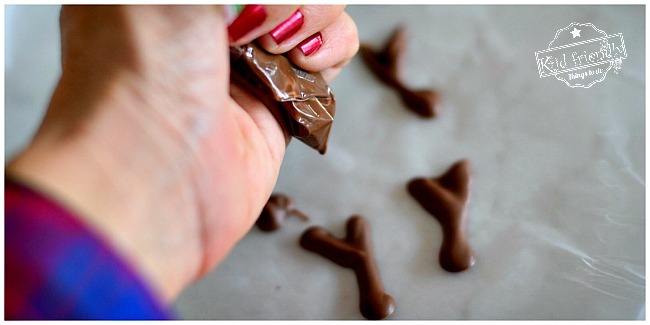 Light Cocoa Chocolate Melts – 12 0z. 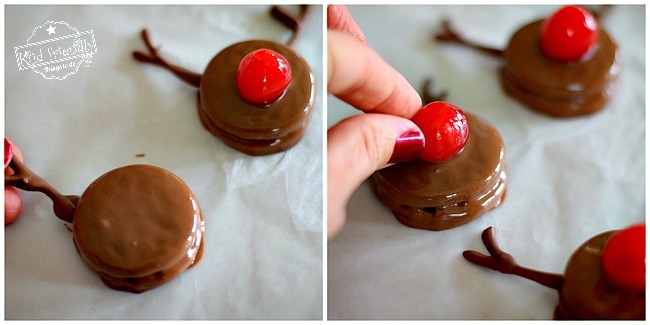 Using the small glass bowl, microwave the chocolate according to the directions on the package – *I usually put mine in the microwave for 1 minute, stir with my silicone spatula and pop it back for 30 seconds. 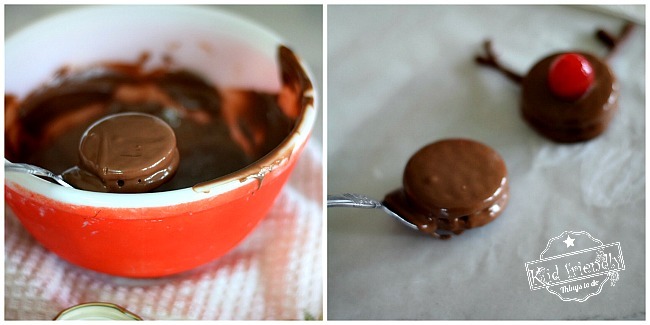 If the chocolate is melted and smooth after your stir it together – you are done. Don’t over cook. That’s it! 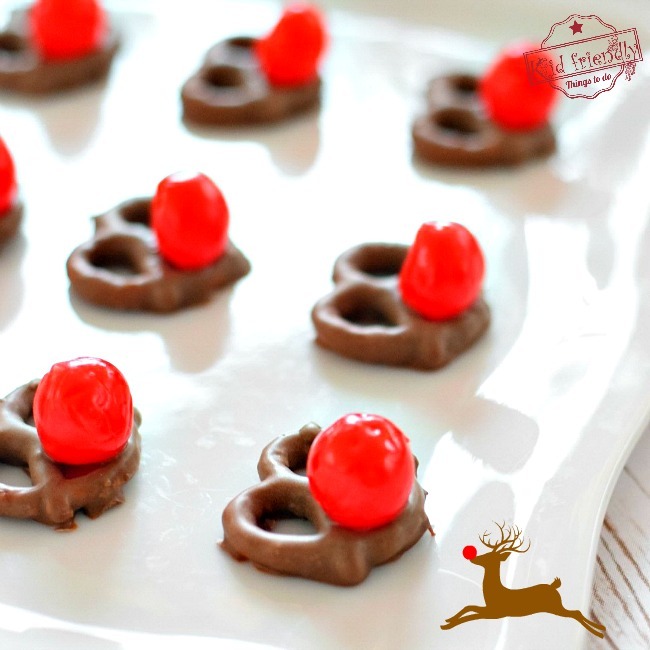 Do that with each cookie and you’ll have several Cute Rudolph Cookies! You can place these in an airtight container and store them for up to a few days, or leave them out on a platter for the day. They should be fine and still yummy. The only part that might dry out a little is the cherry on top.